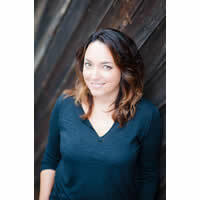 Melissa Thom has nearly two decades of experience as a voice actor, broadcaster, entrepreneur and communications consultant. She has an English Literature degree and studied acting at Bristol Old Vic and The American Conservatory Theatre, San Francisco. Her career began in 1999 as the station voice for Surf 107.2, Brighton, U.K. She went on to host breakfast for the GWR Group and Sunday breakfast on Galaxy 101 for Chrysalis (U.K.). A number of gigs for major brands followed including Heineken, where she was the main voice for their “Found @ Thirst” annual Caribbean DJ competition for over four years. She headed to California for two years, voicing for agents such as Stars, Solid Talent, GoVoices and InBothEars. Having recently relocated back to the U.K., Thom’s current clients include Google, Facebook, Hitachi, Unicef, The Economist, and U.K. TV and radio groups, as well as Late Night Tales, a series of artist curated compilation albums.